“Allah forbids you not, with regard to those who fight you not for (your) faith nor drive you out of your homes, from dealing kindly and justly with them: for Allah loveth those who are just. Islam is about submission to the Divine Will in order to attain peace, and this works both at the individual level as well as for the community. Muslims are supposed to seek to acquire peace within and strive to establish it in society. 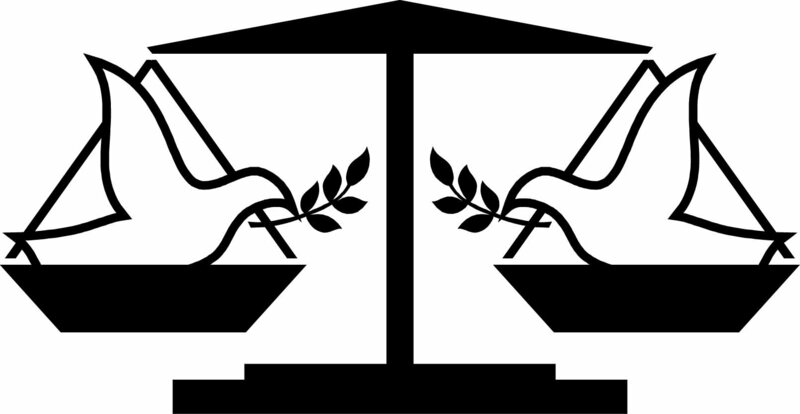 However, the establishment of peace at the communal level is only possible through the provision of justice. The central principle around which the socio-politico-economic system of Islam is built is Justice. “Whoever harasses a dhimmi I shall be his adversary, and of whomever I become the adversary, I shall prosecute him in the Doomsday” (At Tabrani, 65). Again: “He who harms a non-Muslim who keeps a peace treaty with Muslims has harmed me, and he who harms me has harmed Allah” (At-Tabarani in Al-Awsat). In fact, the Quran takes it a step further by adding to it the element of kindness. Muslims must deal with non Muslims who possess no explicit aggressive designs with kindness, forbearance, gentleness. This is built on the Islamic concept of the entire creation of God being His ‘family,’ all being the ‘sons and daughters of Adam (A.S).’ It is this kindliness of demeanour in dealing with those not yet Muslim that earns us the Love and pleasure of Allah. However, it is a demand of justice that wrong be redressed, that evil be confronted, oppression be resisted and defended against. Muslims must be active agents of justice and peace on earth. In order to attain justice and root out injustice, Muslims have to exert themselves, through force if need be. Only through the readiness to establish justice with might and main can peace prevail, and History is a witness to this_ the might of Goliath was shattered through the courage, valour and strength of David (Daud A.S). Those who are unwilling to strive with physical strength and force for the establishment of a just order will be trodden on and vanquished by the forces of evil as it pervades, unresisted. Hence, the Quran instructs, Muslims must act with firmness against those who have evil designs against Islam; who oppress human beings, who spread evil (fitnah) in the land and assist the forces of injustice and evil. That too is the example provided by the seerah of Muhammad (SAW) who exerted himself in the Way of Allah through waging military struggle against the enemies who had persecuted believers for their faith, and who had taken away the freedom of belief that is a God-given right of all human beings. The verse above is a radiant example of the middle position of Islam and its great emphasis on the principles of justice and peace, its firm insistence on the rights of human beings; it highlights Islam’s rejection of all forms of discrimination and its insistence on absolute justice for all. Islam, in the light of this and other verses of the Quran and statements of the Prophet (SAW), stands tall as an egalitarian system of life with a universal vision of justice and peace. Muslims must be just and kind towards fellow human beings regardless of faith-based (or other) distinctions. However, those who violate the rights of others, oppress and persecute are to be defended against with firmness, strength and might. Only thus can a just order be established that facilitates the attainment of a peaceful society.